The Bible: How Accurate, How Reliable is the Bible? "I test the Bible statement by statement, claim by claim, anything I find that is testable by checking it against the latest scientific research I come across. Relying on mainstream science and news journals is part of normal scientific method. I allow for figures of speech, poetry, context, parable and discoveries of textual critics. I've noticed hundreds of Bible statements which were considered false by scholars and critics but were later proven correct and the critics wrong. 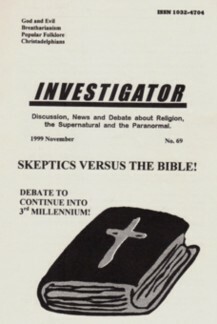 American scholar Jerry Bergman, Australian meteorologist Allan Brunt, Australian researcher in the defence industry Kevin Rogers, and a few others have also defended the Bible. BABYLONIAN EXILE 586 BCE or 607 BCE?